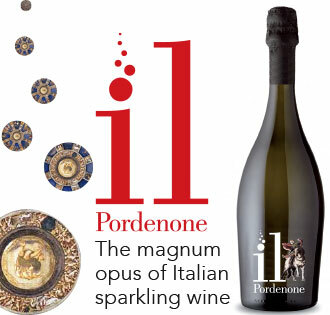 If culture is something to do with pearls, luxury is something to do with jewels. For our luxury issue, Susie Solna and Mark Beech speak to the experts on how to build a collection and which designers to watch. Jewellery that generates the biggest headlines usually has the heftiest prices. 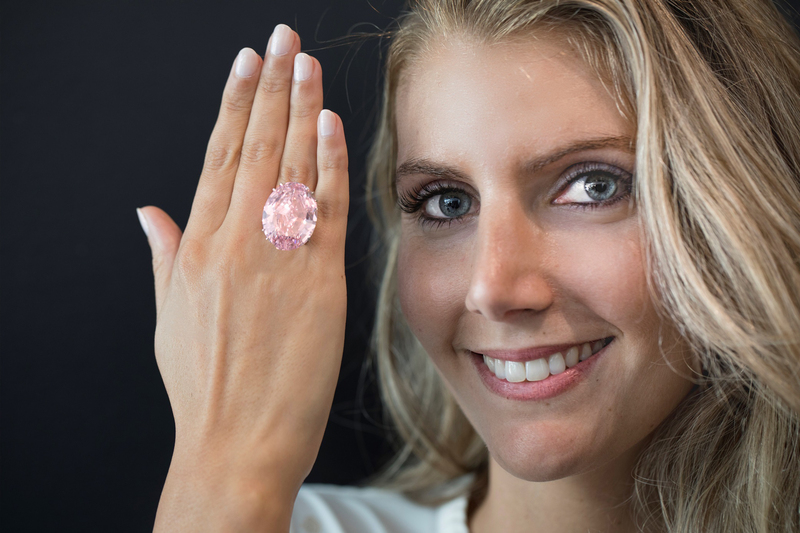 Back in April this year, jeweller Chow Tai Fook paid $71.2 million for a 59.60-carat pink diamond at Sotheby’s, a record price for any diamond or jewel at public auction. 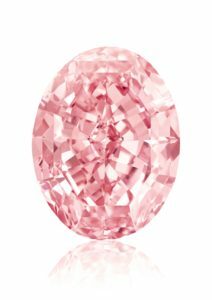 The CTF Pink, as it was renamed, is an eye-opening, jaw-dropping stone by any measure, a real heavyweight addition to the hand. It surpassed the Oppenheimer Blue, which was sold by Christie’s Geneva in May 2016 for $57.5 million. But let’s be realistic. Even for those with this cash to spare, these stones are not the sort of thing you will wear everyday – actress Elizabeth Taylor wore hers most days, but that was a different era. If you do in 2017, just don’t disclose your wearables in any kind of Kim Kardashian social media way… unless you care to be robbed in the same way that she was in Paris. Or surround yourself with more armed bodyguards than at Fort Knox’s federal gold reveres. But anyway, and obviously enough perhaps, you don’t have to spend mega millions to build up a really eye-catching and special jewellery collection. Yes, it helps to have a bit of money. But it also helps to have a taste for what you like. Or it helps to know someone who can help shape that discernment, discover what you want and what might suit you. Let’s meet two women who can help – both very different and with their own backstories: one a French-born curator based in Hackney, London, who can help with collecting; another who is one of Britain’s leading jewellers. 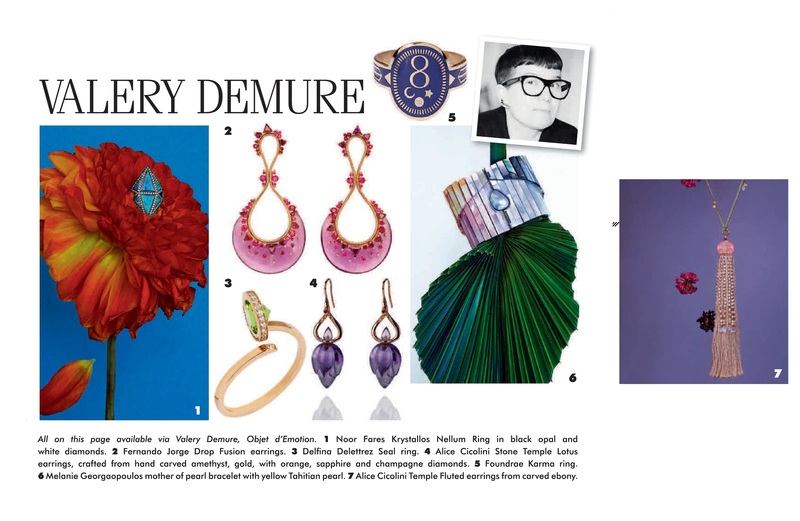 They have interesting names: later we’ll introduce Valery Demure, who is anything but (and knows where to get great jewellery). 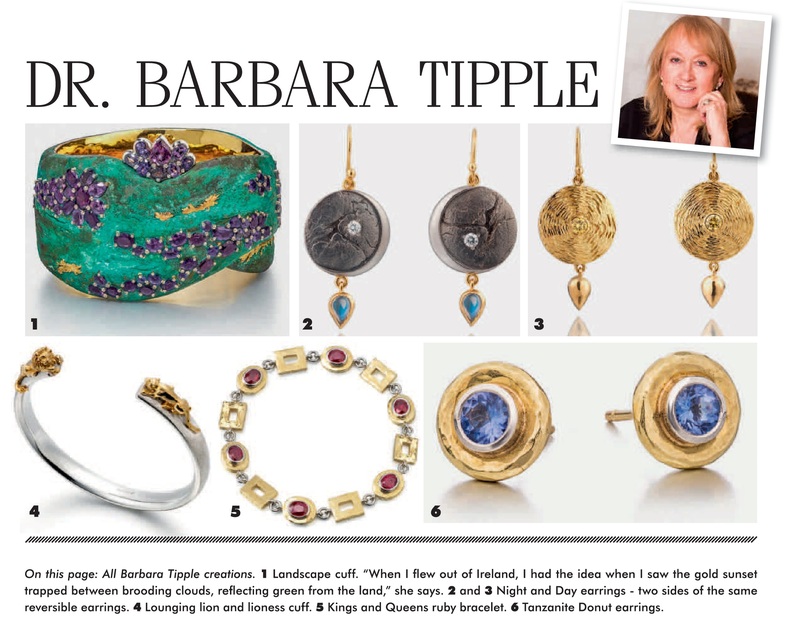 But first meet Barbara Tipple, who is a doctor of jewellery. 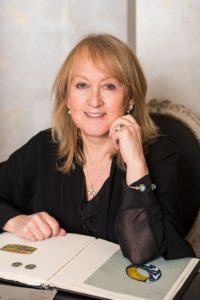 To be exact she has an honorary degree from the University of Portsmouth as well as a Freedom of the City of London, which was also awarded to her husband, the goldsmith David Ward. As a maker, she has long-lasting relationships with some of the most discerning collectors across the world. She built up her business alone, for many years as a single mother before meeting David, the love of her life and her eventual business partner. Barbara recommends giving the jeweller any personal ideas – are you a keen sailor, say? Or a hiker, or love koi carp? Whatever it is, how does it fit your taste in clothes and aesthetic? Does this cost much? Well it can. One man bought a yacht for £1 billion and commissioned Barbara to create a bespoke bejewelled key, for a cool £50,000. Another lady called in on her way to the airport and bought a Diamond Nature’s Miracle cuff bracelet priced at £150,000 in a few minutes. But Barbara doesn’t only cater for the super wealthy with open chequebooks. Barbara’s window cleaner was so smitten that he paid in £100 instalments for his purchase of diamond moonstone earrings for his beloved. Many commissions are happy occasions such as engagement rings. Some clients wish to commemorate someone who has passed on, sometimes even their child. “I hope in a very small way, that this process, ending with a physical personal item to be worn forever, helps,” she says. In 1973 she was offered a job to design exclusively for Graff for £28 a week. She looked at the kind of jewellery Graff was selling and turned down the offer. She later overhead Graff’s top sales representative saying: “That Barbara Tipple, she nails it.” Meanwhile, after an encouraging conversation with Brown’s founder Joan Burnstein, she opened a shop at 1 Albemarle Street. Valery has been called “the ultimate talent scout”. She is launching a personal shopping service, Objet d’Emotion. It is possible to pre-order styles even before they hit the shops. Some of the designers she works with make only 20 items a year. Meanwhile Barney’s in New York, Galeries Lafayette in Paris and Lane Crawford in Hong Kong all ask for her help. She advocates plenty of research, starting with the greats such as Suzanne Belperron, JAR (Joel Arthur Rosenthal) and Taffin, and then moving to the emerging contemporary world and using Instagram for example to find one designer that inspires you: do you like their motifs and influences? 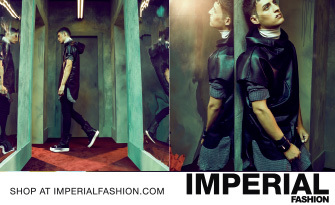 Which designers sit near them in stores? Try on items where you can: does it suit you? Valery’s mother ran two small luxury boutiques and her grandmother was a seamstress for Courrèges. Valery was educated in a Catholic convent school where heels were forbidden and long skirts had to be worn all year around. Today, she defends the case for more design creativity and bemoans the lack of risk-taking among some retailers. 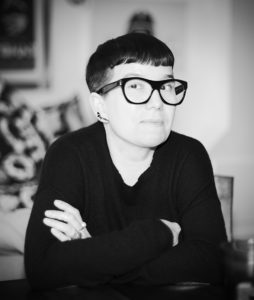 She works with cutting edge designers – some of whose ideas have been copied by larger designers. Imitation being the sincerest form of flattery. Her designers come from around the world, such as Melanie Georgacopoulus, a London-based Greek-French artist who regularly slices pearls in half with stunning results. Alice Cicolini’s enamelled jewels are crafted in Jaipur and inspired by the Silk route. Katie Kova is a business studies graduate from Moscow whose geometric, minimalist pieces have a growing following. Monique Pean, already briefly mentioned, is a New York-based former Goldman Sachs fixed income analyst who has turned environmentally driven designer who uses fossilised walrus ivory, dinosaur bone and supports water charities. Her designs have been worn by Michelle Obama, Natalie Portman, Naomi Watts and Jessica Chastain. Fernando Jorge is a Brazilian twice named by Business of Fashion as one of the most influential people in fashion; Delfina Delettrez is the fourth generation of the Fendi dynasty; Foundrae’s signature designs include vintage-inspired cigar-band rings. This article is a sneak peek of part of the luxury feature in the DANTE magazine for October and November 2017. The magazine is available in larger WHSmith stores and selected independent newsagents for £5.95 in the U.K. We are also in top clubs, hotels and airport lounges as well as on phone app. 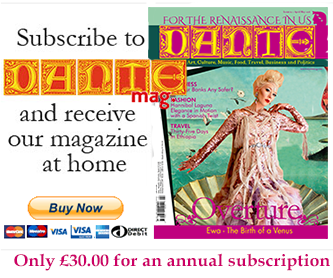 Subscribe on our home page www.dantemag.com via PayPal – £30 or equivalent in local currency for six bimonthly issues mailed anywhere in the world.